Data breaches and internet hacks have been plaguing businesses of all industries, capacity, and influence for the better part of a decade — two of the latest victims just so happened to be social media juggernauts LinkedIn & Twitter. Between the two breaches, nearly 150 million people have had their email addresses & corresponding passwords stolen. Unfortunately for both online companies and the individuals visiting their sites, it seems as though things keep getting worse each and every day. The pursuit for a more rigid, augmented level of privacy and protection on the internet feels like all but an uphill battle at this point. If we can’t trust that the accounts being created on platforms like Twitter and LinkedIn will remain secure for their duration, how are we to entrust other internet-centered organizations with information far more sensitive? Imagine submitting your personal information, such as credit card & social security numbers, to a small company across the internet, only to learn months down the line that your information has been compromised and that your chance of becoming a victim of identity theft has increased dramatically. While the answer we’d all want to hear is, “navigate away from sites that'll be hit by data breaches”, unfortunately here at NeoCertified, we haven’t yet developed the necessary precognitive abilities to detect which websites will be hit next. 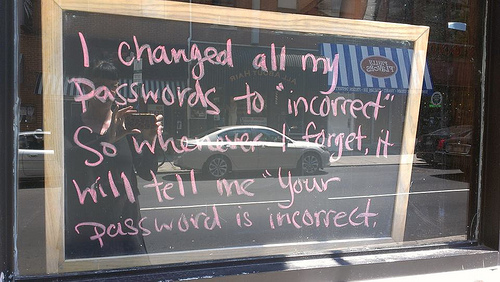 So, instead we’ll take a precautionary stance when it comes to cyber self-preservation: Proper Password Management. It’s suggested that passwords be changed every 90 days (or 3 months), but following that routine can become a bit challenging as life tends to get in the way more often than not. That’s why we suggest that you set password update reminders either on your digital calendars or on physical reminder notes that won’t get swept away into the trash. This is where things truly become complicated. We understand the multiple password plight that many seem to struggle with in their busy lives, but this is one battle that you’ll need to constantly fight. Multiple passwords allow you to protect yourself from what seems to be the dauntingly inevitable — becoming the victim of a cyber hack. Whether you’re directly affected by a data breach or not, setting up a system of unique passwords will protect each and every account that’s created from the black market that could be trading your information to the highest bidder (yes, this happens regularly). If you have multiple accounts which each contain their own unique password, the accounts outside of the website affected by a data breach will be spared from the cyber auction that may follow the cyber onslaught. Also, make sure not to use easily identifiable information as your passwords, like addresses, birthdays, nicknames, family member names, etc. It ails many people to be forced to create passwords that contain special characters & numbers, but the reality is that those complex passwords are more effective at combating account hacks. It’s also recommended that your passwords exceed 14 characters in length … Yes, even if your Chipotle account only requires you to create a password at least 6 characters in length. The longer, more intricate a user-defined password becomes, the better protected your account will be from outside parties, hacks, and breaches. As easy as it would be to use a password management tool to keep track of your now protracted, intricate, and alarmingly inexplicable password, just don’t do it. Password management tools are a great idea and, at first, seem to be the ideal tool for micro-managing each individual account that you possess if it weren’t for one small, infinitesimal issue … They Also Require A Password For Access! Upon use, this device would then essentially act as a single key to access all of your personal accounts. Think of it as a single padlock chained across a vault holding two tons of gold bricks. If the password to your Password Management Tool ever was compromised, you may have as well signed a blank check and taped it to the front of a postcard. Don't make the mistake of consolidating all of your passwords into a single space -- in essence, you'd be gift wrapping your account information for a third-party hack. If you absolutely must organize your passwords, make sure they’re not saved in one place or on one device. For more password management best practices, check out our full list right here.